Wow a great find for £4! This axe features both the circle H and HB stamps, plus the Agdor stamp. Also this axe has the Hults Bruk A-B stamp, instead of the older Hults Bruk ABY Stamp. My best guess is this axe was made sometime between the late 1930s and 1960s. If you can see a weld line on the bit (not always easy to see) then the axe was made before 1950s. 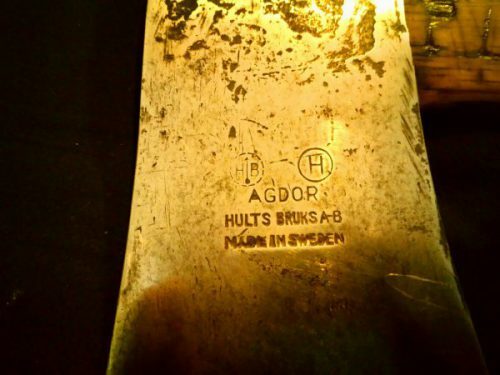 Prior to 1950 Hults Bruk axes were made of two separate steels. The main part of the head was made of iron and high quality edge steel was then baked into the axe bit. It can be very difficult to tell if an axe was produced in this way. From 1950 to today the axe head is forged from a single piece of high quality steel. 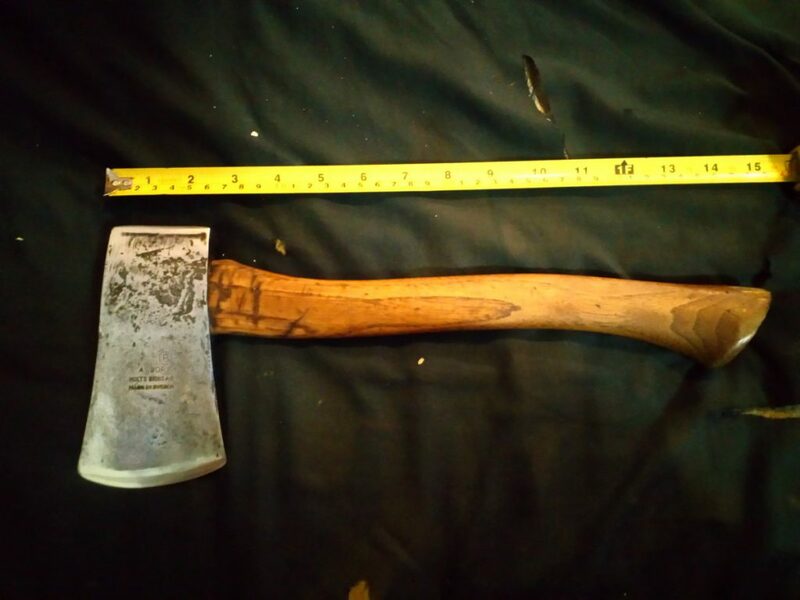 I have this very same ax .I inherited it from a relative . It was kept in a kitchen drawer when not being used around the house. My ax is a 1 3/4 stamped on the opposite of the Agdor stamp. The handle came as the same length as the one in your pic but since then I have re hafted it to a 17″ handle. This one does not appear to be a two piece head,no weld lines show. There remains a small bit of blue paint left on it just to tell that it came with blue paint from the factory. 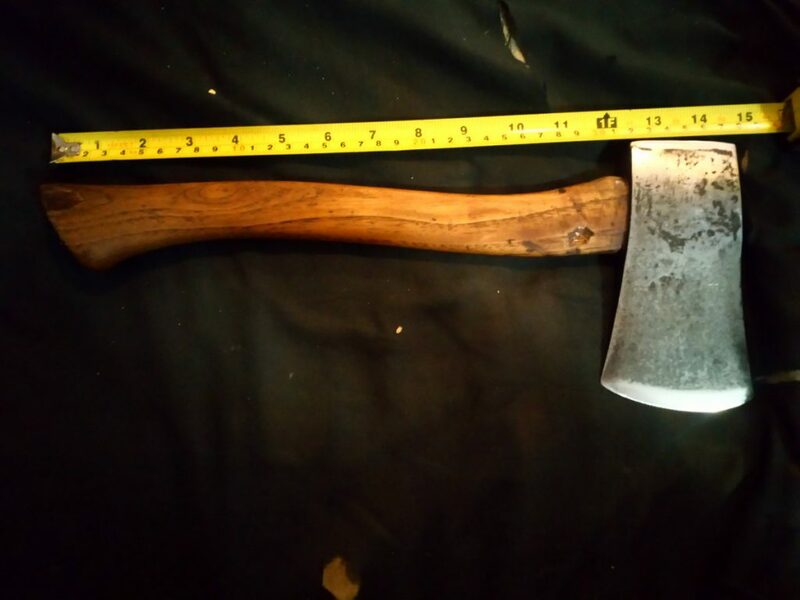 This is a very fine ax.It is great for processing small fire , camp wood and for bushcraft .